Wood/Patel provided construction administration and inspection services for cost-to-cure improvements at the Mission Shadows and Los Olivos Apartment complexes along 19th Avenue. The project included modifications to the existing facilities to accommodate the widened right-of-way for the Light Rail extension. 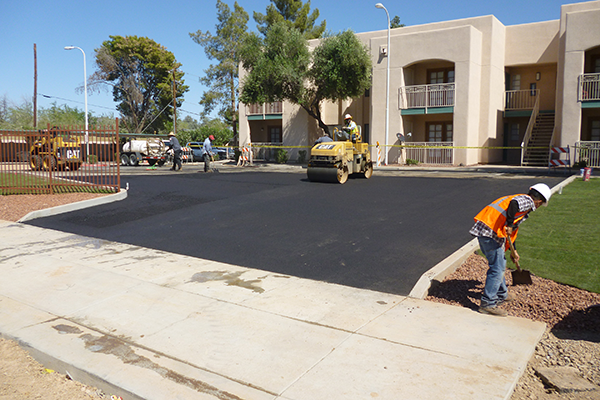 In addition, work included driveway, landscaping, parking, access modifications, new swimming pool, drainage and retention reconstruction, and site signage relocations. 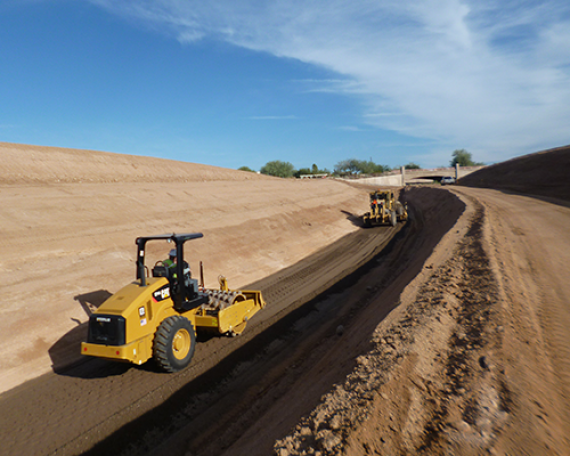 Improvements were constructed in compliance with MAG, Phoenix, and ADA Standards. Wood/Patel provided services including close communication and coordination with the Light Rail contractor, the cost-to-cure contractor, utility companies, the City of Phoenix, and the project architect. Our team was on site daily to observe construction progress and enforce all requirements of the contract documents. Wood/Patel also provided special inspections for the structural concrete, as required by the project specifications.